There is a model of parenting that elicits a certain amount of fear in a child that if they don’t do what you want them to, you will do something they really don’t want. It’s a parenting style that is easily used because it uses persuasion to get a child to act accordingly. However, in the grand scheme of child rearing, I am leaving behind fear based parenting because I think it sends the wrong message to my children. It sends the message that I am unapproachable and won’t love them if they cross the line. While I fully believe in negotiating with children and do it often, negotiating and persuading are not the same. Negotiating and fear-based parenting are also not the same. 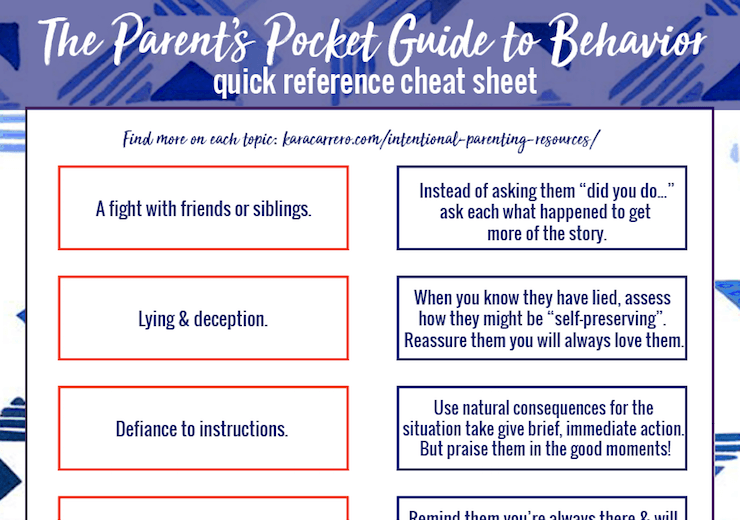 And so many of us that have been down the road of parenting or spent time in a classroom know that reverse psychology typically works well on kids. However, in this instance, it is teaching my daughter something I never want her to hear… that I might leave her if she does something wrong or if she doesn’t do what I want her to do. See more on communicating using proper negotiating skills with your children. As a parent, I want my children to come to me even when they fail. I want them to know I am open arms, listening ears, and willing to forgive and work with them through their tough times. I don’t want to create a wall with my children by teaching them to fear coming to me because of my reactions when they are toddlers and testing the waters of obedience and behavior. I want each of them to learn consequences, but to also understand that I am loving, forgiving, and never leaving their side. Children learn societal norms and family behaviors quickly. They are intelligent, resilient, and perceptive. So the moment that phrase “or I am going to leave you” gets used, they have learned it. There is a fear inside of them that you might just leave them behind. It was used once by someone in my family with my daughter. And it struck me really hard and made me rethink using any sort of fear based comment towards my kids and made me start thinking about my own childhood. To this day, if someone walks too fast in front of her, she panics and screams for fear that we will leave her behind. In the grand ordeal that unloading the car is, even if we coach her through what we are doing (take out baby sister, unload bags, get the dog, etc. ), if we walk even a few feet away, she becomes terrified that we will leave her. And to this day I have a sense of fear that I cannot talk to my parents or that if I did certain things that they might disown me in some way. I hate that, because I know it’s not necessarily true. But there is this tiny voice inside of my head that says they will stop talking to me if I ____. Or they won’t love me if I choose _____. Or I made ____ bad decision and I am not going to tell them. 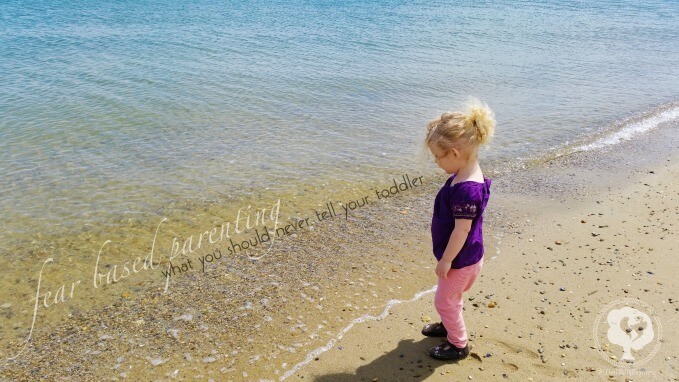 See more on teaching toddlers consequences through mindful choices. I don’t want to be that tiny, terrifying voice inside my daughter’s head. I want to be the warmth in her heart that when she makes a mistake or defies me, she knows that I am going to hold her and love on her. I want her to know that I may express my disappointment in an action, defiance, or disobedience, but that it’s no bearing on who she is as a person and that I will always choose a relationship with her over petty feelings and heat-of-the-moment reactions. …That I will never leave her. 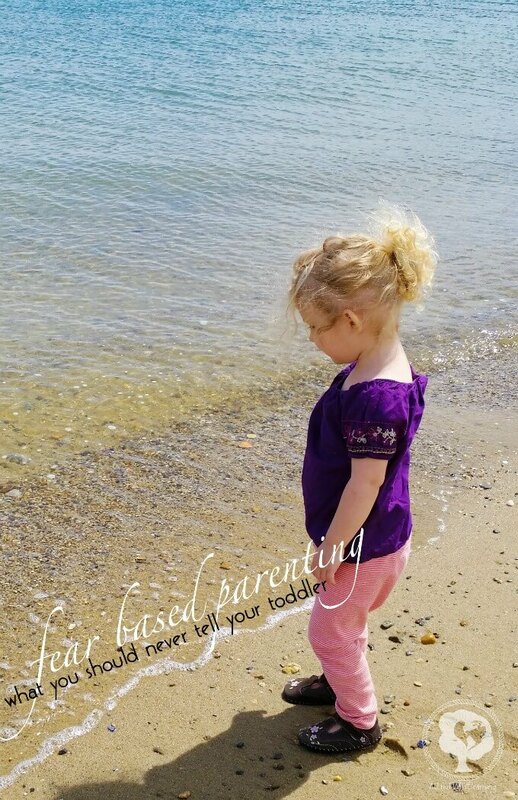 I can see the fear and terror in my child’s eyes when she thinks even for a split second that I might leave her or that she does not feel wanted. So in the moments when my mind immediately jumps to using fear based parenting, I start reeling myself in. I start questioning what big emotions my child might feel if a said a certain phrase or acted a certain way. Because in the long-term scope of parenting, the fear I could elicit in my child at two could mean the same fear to not feel relatable or like I can be confronted with a problem as a teen. Need more advice when it comes to raising kids? Interested in other alternative parenting ideas? Wonderful article. Unfortunately I see the “I’m leaving you behind” thing occur frequently in stores. I also hear a lot of parents using this tactic for everything under the sun. If you don’t do this, I will take this from you or if you do that, I will do this to you. For us, the relationship is most important. Working together teaches children, even very young children, ways to get along in the world. Thank you Sheila. I think it’s one of the easiest things we can say to kids because of course they don’t understand those big emotions and don’t want to experience them, but then they’re just experiencing another big emotion long term. Great post Kara. Many of us grew up with fear based parenting and I too try to change these ways with my own daughter. It is hard to change since I grew up this way and is a method I can quickly turn to but because of it I am also very quick to go back and talk with my daughter when I catch myself doing it. We have a great relationship. It truly does help to realize what style of parenting you use. Thanks Stephanie! It’s a really hard habit to break. And I have been so sensitive to it lately since we moved and I definitely don’t want her to feel like she would ever be left behind. I have found that sometimes even very innocent-sounding phrases seem to imply that she will be left. We have had many, many apologizing talks with her in times where she was afraid of something said whether justified or not. Yikes* I am so guilty of this and I guess I never even thought about it this way! 🙁 I guess I grew up fear based and never realized it. Words can be so powerful. They really can be so powerful. The phrase was used with our oldest a couple of times by some outside family and she would just melt if we even walked a bit too fast. It just broke her down. I have seen it happen with several other children as well. And as benign as it sounds on the outside, it really is this strange fear that we have to perform for those we love to stay by our side.